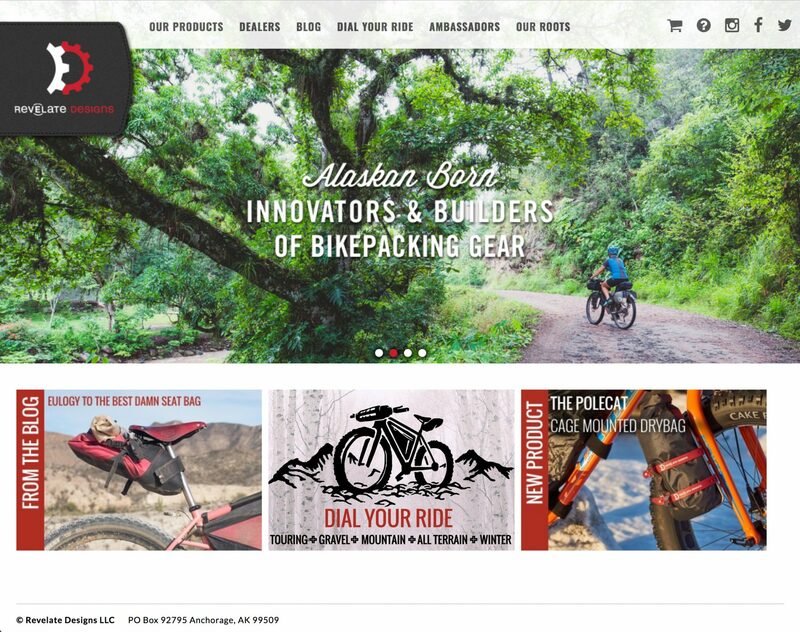 Revelate Designs is a manufacture based in Anchorage, AK developing innovative bikepacking gear designed for off-road bicycle touring. 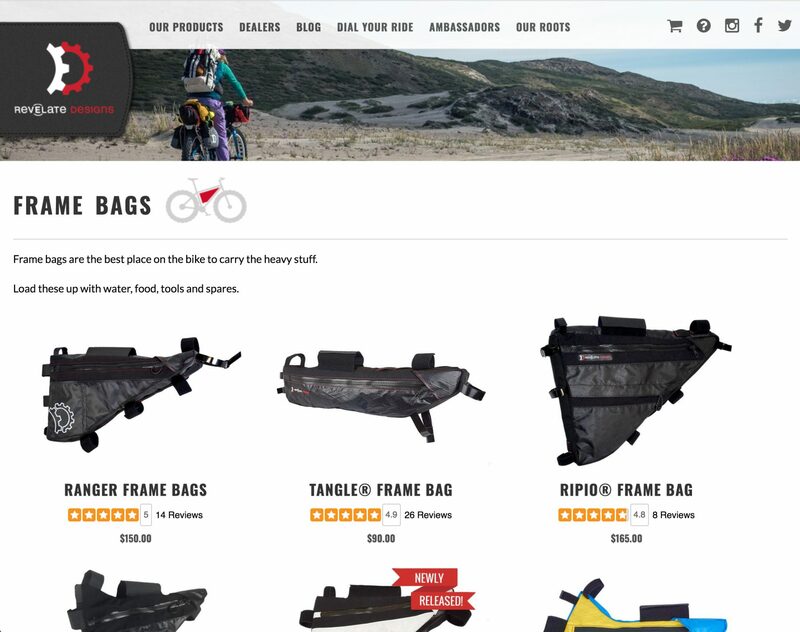 Revelatedesigns.com is a complete e-commerce and production manager featuring e-commerce and a robust factory interface designed to track new orders and shipped packages. The site features a complex inventory management system that tracks retail and wholesale and allows staff to custom split inventory so assigned amounts can be sold as retail or wholesale. All sales data is archived in the site administration area and sales reports are automatically generated every month for staff. 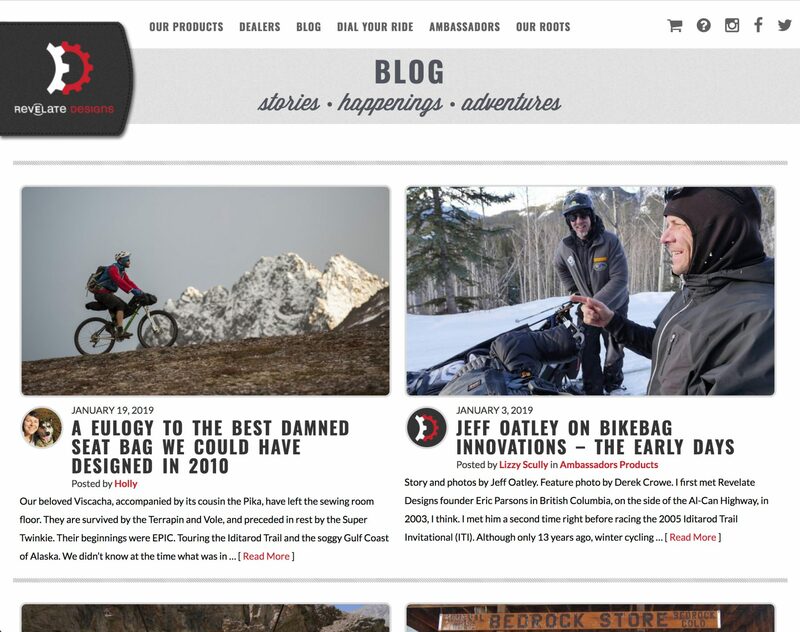 Revelatedesigns.com uses a custom solution that filters users based on geographic location to minimize fraud potential. Customers from pre-approved countries that have a low risk of fraud are allowed to pay via Authorize.net whereas suspect customers are pushed through PayPal. The site was developed using PHP, ColdFusion, Ajax, jQuery and CSS with a MySQL backend.